Cynics may call it politicking to garner Muslim votes for the ruling African National Congress (ANC) on the eve of South Africa’s crucial May 2019 national elections. Others, especially from Israel’s local pressure groups, may suggest that the ANC has caved in to partisan politics without any regard for Jewish interests. Some within these Zionist formations, may even adopt an extremely narrow stance by suggesting that the Ramaphosa presidency is antisemitic. Whatever may be the perceptions held by diverse groups including opposition parties, the fact is that the ANC-led government has finally taken the leap to give practical effect to its conference resolution to downgrade relations with Israel. It is sixteen months since December 2017 when the ANC unanimously resolved “to immediately and unconditionally downgrade the South African Embassy in Israel to a Liaison Office”. Far from being partisan or having any hint of anti-Jewish bias, the move is in line with South Africa’s human rights driven foreign policy ethos. I’m referring to the announcement made by South Africa’s International Relations Minister Lindiwe Sisulu, that downgrade of ties with Israel is running full steam ahead. 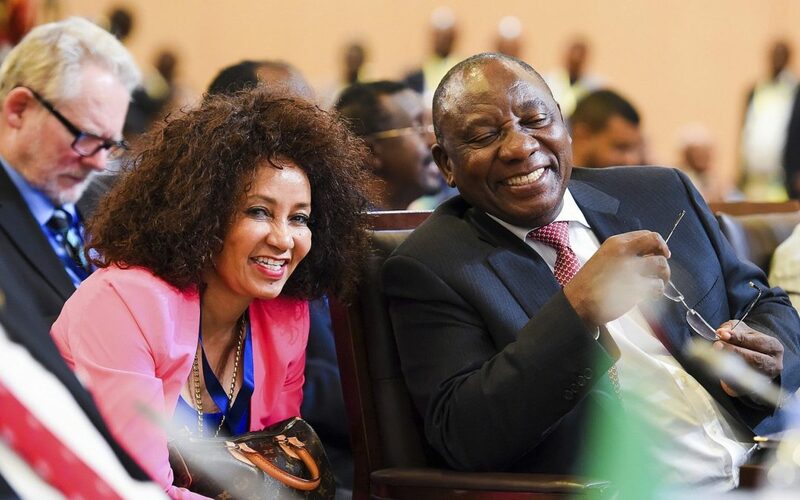 According to Sisulu, the immediate effect of it is that the SA ambassador has been permanently withdrawn from Tel Aviv. “We are in the process of following the downgrade resolution of the ruling party and stage one has been completed. Sisulu’s comments reflect a vigorous commitment by the ANC to demonstrate its solidarity with Palestine’s freedom struggle. To date many South African human rights and foreign-based activists have accused the ANC-led government of talking left but walking right. The critique goes back to Mandela’s presidency and continued throughout the Mbeki and Zuma administrations. None of them had given effect to long standing ANC policy-positions on Palestinian solidarity despite being opposed to Israeli colonialism. Their defensive arguments in justification for maintaining ties with Israel had always been that the ANC is guided by the Palestinian Administration (PA). Since Fatah is the dominant player in the PA, and given the ANC’s historic alliance with Fatah when both liberation movements shared trenches during their freedom struggles, it was “explained” as realpolitik. The other explanation – again leaning on Fatah, has been that to allow itself to play a meaningful role as a mediator between Palestine and Israel, the SA government had to have diplomatic relations with the Zionist regime. Sisulu’s announcement has not only demonstrated that notwithstanding close relations with Fatah, it also recognizes the role and colossal impact Hamas has had in reshaping Palestinian resistance. Implicit in her message is that articulating support for Palestinian rights requires strident moves. As she explained, downgrading is merely “stage one”. More is to follow which ultimately may result in the Israeli ambassador packing up and departing. The significance of this decision cannot be downplayed. Especially because it goes into effect at a time when Fatah’s leadership is exposed as collaborating with Israel’s notorious security forces and siege of Gaza; Arab autocratic regimes are “normalizing” ties with the Occupier; Netanyahu has confirmed Israel’s apartheid status and dismissed any “hope” of an independent Palestinian state; Trump has played roughshod with International Conventions and UN Resolutions. Though the decision may not have an immediate impact on Palestinian lives given the fascism associated with Netanyahu’s bloody violence, it marks a significant escalation for the global campaign to isolate Israel via the boycott, divestment and sanctions (BDS) movement. It displays the moral values of a majority of South Africans and the integrity of the decision to downgrade sets a new standard for the African continent.